Muck Rack's mission is to make journalists, PR pros and marketers more successful. Muck Rack offers tools that help media professionals find and contact the most relevant journalists for their stories, and monitor how their stories perform. We are a profitable tech company that bootstrapped its way to success, with people who know how to get things done. We move fast, are constantly improving our products and ship code multiple times a day. Everyone here is passionate about the problems they are solving and collaborate to make that happen. 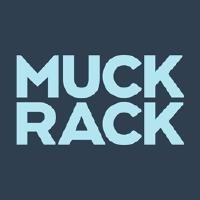 Muck Rack is a remote first company. While we maintain an office in SoHo, NYC, everyone can choose where and when to work, whether it's in the office, at home, in a cafe, or on the beach. Many of our NYC team members spend part of their time working at home. All of our meetings can be attended via video conference, so those not in the office won't miss out. We make use of online tools that facilitate a distributed team, such as Trello, Slack, Google Hangouts, and Screenhero, to name just a few. Muck Rack Is Hiring! Join The Team!